Leaner Tip: Substitute zucchini with shirataki noodles to reduce recipe by ~200 calories per cup. To make the sauce, place all the sauce ingredients in a blender/magic bullet and blend until the sauce is a smooth consistency (about 30 sec). 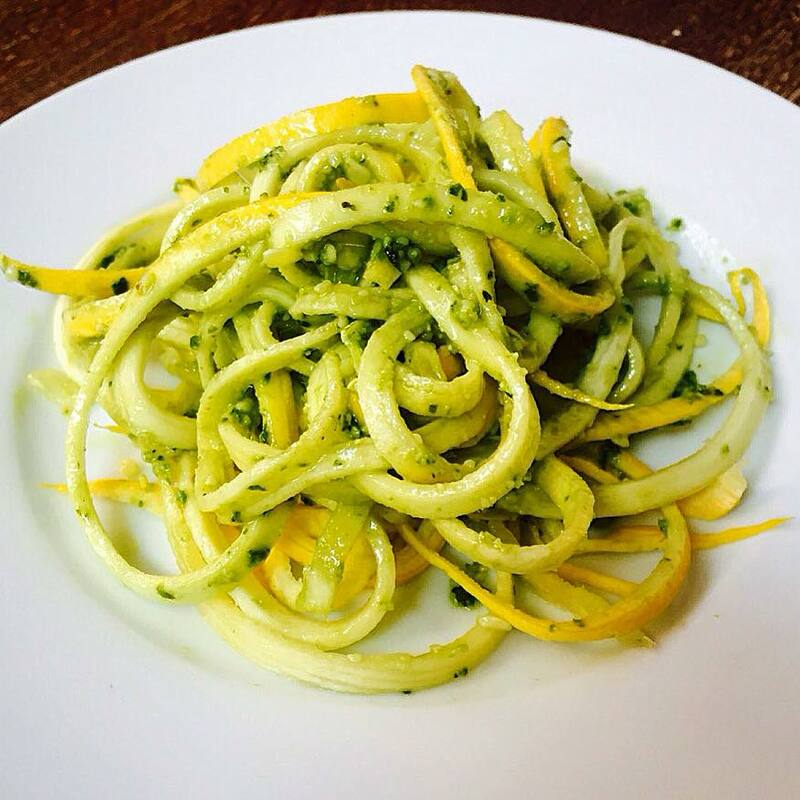 Mix the pesto sauce with the zucchini pasta.